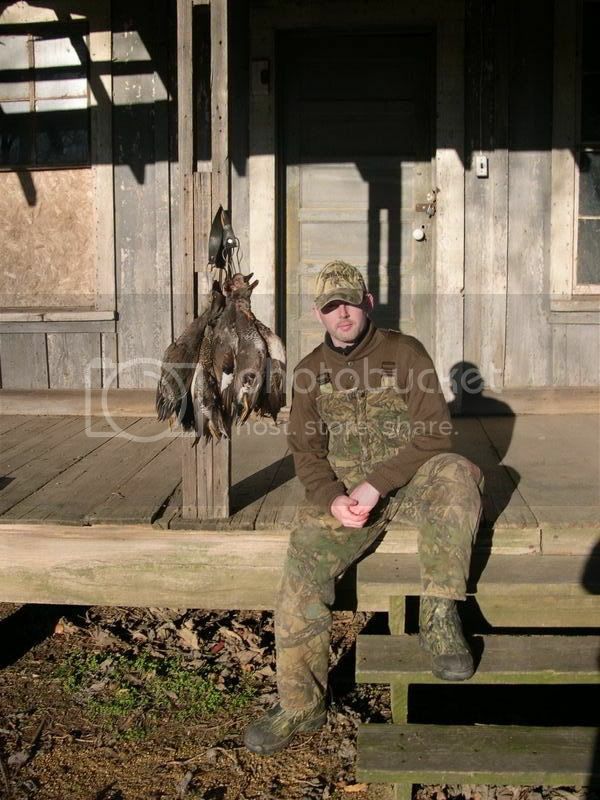 Discussion in 'The Duck Hunters Forum' started by Keller, Feb 23, 2008. Well I made it out last season to some of Nash Buckingham's old stomping grounds. I was lucky enough to unexpectantly be invited along for this hunt. I received a call from an old friend of mine who was a member of the Beaver Dam Hunt Club and he said, "hey what you are you doing tomorrow". I replied "working". He said well change your plans. Call your boss and tell him that you are going to hunt Hallowed grounds. So there we were, off to Beaver Dam Mississippi. Can't tell you how incredible it felt to hunt out of some of the very same spots where Buckingham stood and shoot ducks himself. There were times that 20,000 ducks were trading from one end of the lake to the other. Needless to say I shot a limit of ducks for three mornings straight and loved every minute of it. This was a much needed change from a slow seaon which we were having last year 2-3 duck days for the entire group. Sorry for waiting a year to post, but just get too busy sometimes. Enjoy the pics. Very cool, that'll be three days you'll be telling your grandkids about. Love those old clubs and regions that are so rich in tradition and history. Awesome!! Thanks for sharing this with us. 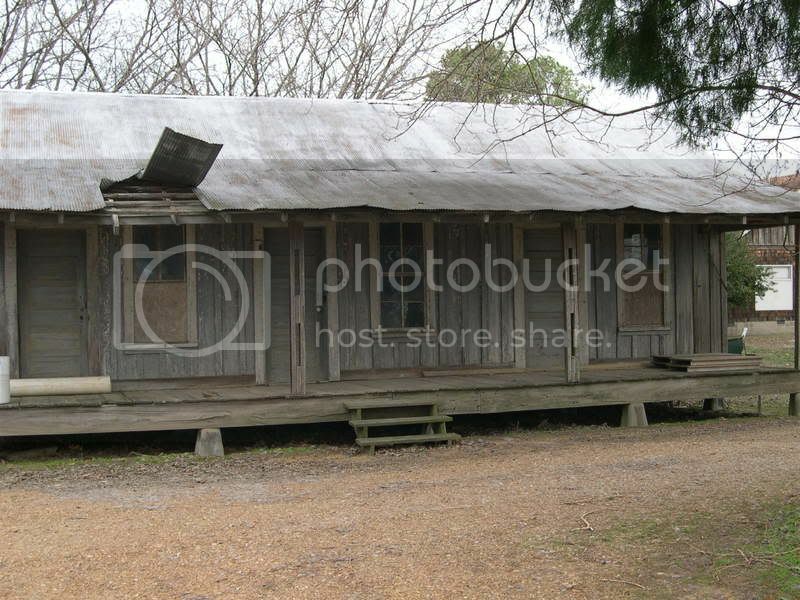 I LOVE the pics of that old cabin. I've read everything by Nash Buckingham I could get my hands on. That must have been an awesome experience getting to hunt at Beaver Dam. Wow. Last fall I ran my dog at a field trial over by Sun Valley, ID and we ran the water test across Silver Creek, one of Ernest Hemingway's old favorites. Pretty cool to be running dogs where "Papa" used to shoot ducks and pheasant. I think they were all made to shoot because if they were not why did they give them that whirr of wings that moves you suddenly more that any love of country . . . I think that they were made to shoot and some of us were made to shoot them and if that is not so well, never say we did not tell you that we liked it. A year or so before Dr. Chub died he received a call from a man in Indiana wanting a description of the first Becker. After a few phone calls back and forth it was determined an anonymous individual had found an old side-by-side in a pawn shop. A check on serial numbers and the description given to Dr. Chub confirmed that the original Becker still existed and had been found. He never learned the name of the new owner as he wouldn't identify himself and we surmise that it had been picked up along the road by someone passing through and passed around and eventually ended up being pawned by someone that didn't realize the value of what they had, easily 6 figures. 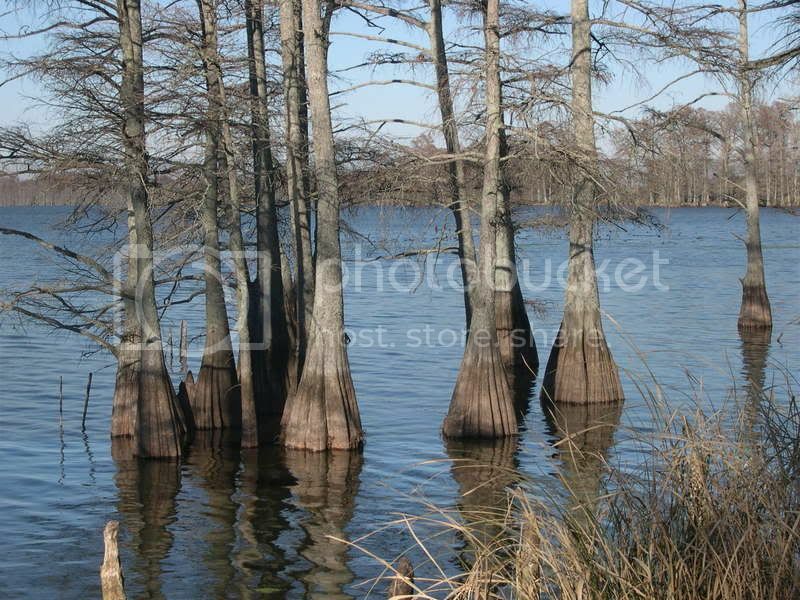 Back in the early 70's when I first hunted Beaver Dam the lake was a thing of beauty with all the sawgrass, button willows and buck-brush. High water wiped out most of it and things changed over the years. 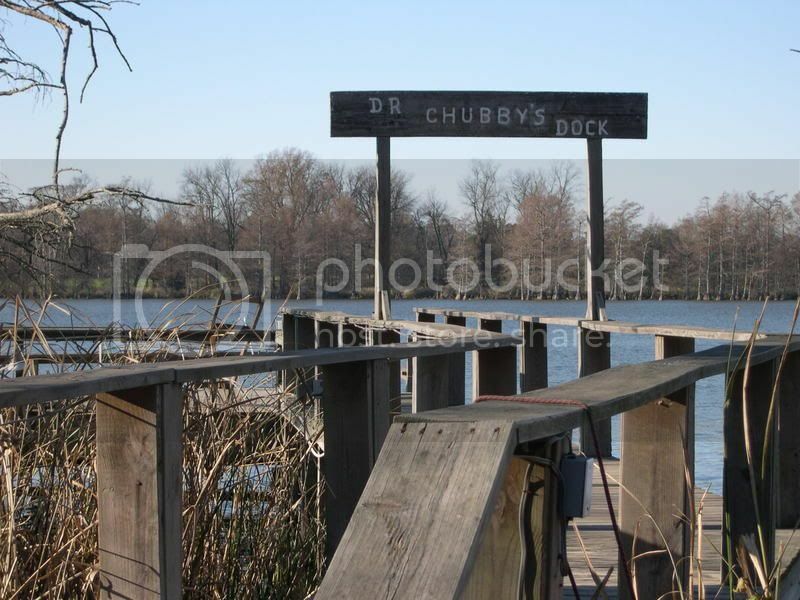 The old dock floated away and the new "Dr. Chub" dock was built. The old house pictured was P.W. Underwood's house and storage site and used to contain a treasure trove of memories. I'm thrilled and happy Keller made a pilgrimage to such hallowed ground and had a good hunt. I helped them dismantel the old Hanwerker Stand and still have some of the wood that I'm using in a mount for Dr. Chub's son Rad. I also had the pleasure and thrill of shooting a limit of ducks in Round Pond with Bo Whoop #2 before Dr. Chub sold it to Billy Dunavant. It swung like a fence post, but could sure kill them "Tall". Took a little getting used to as it had no safety by Mr. Buck's request. 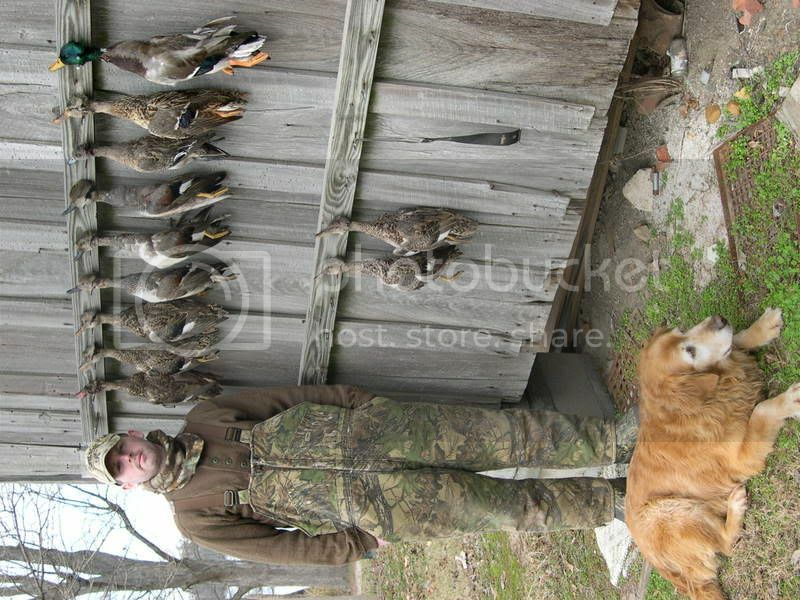 When I would kill a duck, Dr. Chub Would smile and say that Mr. Buck would have liked that. So many famous areas have disappeared and it's nice to see them remembered. Dr. Chub is missed by all those he knew and I never go afield without thinking of my dear friend and mentor. 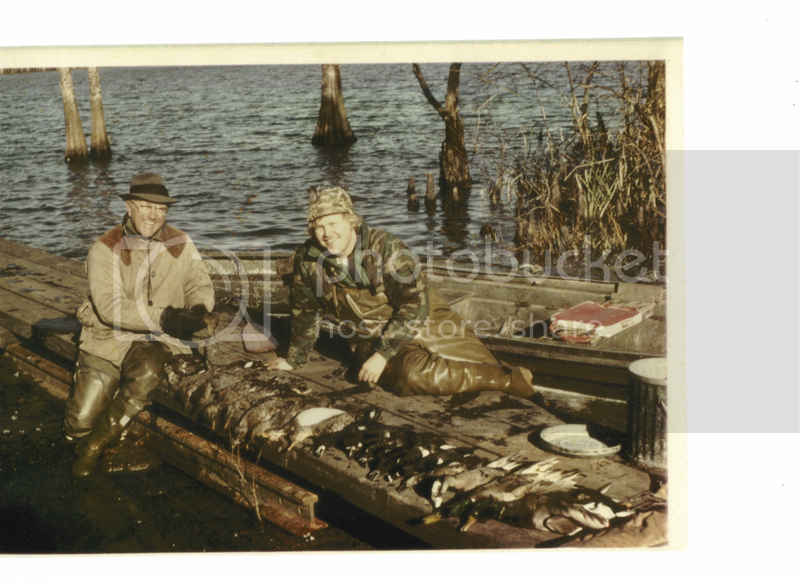 Dr. Chub and I on the old dock after a good hunt in the 70's. Great post! I'm fascinated by the history of waterfowling... It'd be simply amazing to hunt in the shadows that once hid Mr. Buckingham. "Thomas Jefferson said I had a God-given right to pursue happiness. What makes me happy is to take a drake mallard's head smooth off at about 20 feet"
"If guns cause crime, all of mine are defective.? 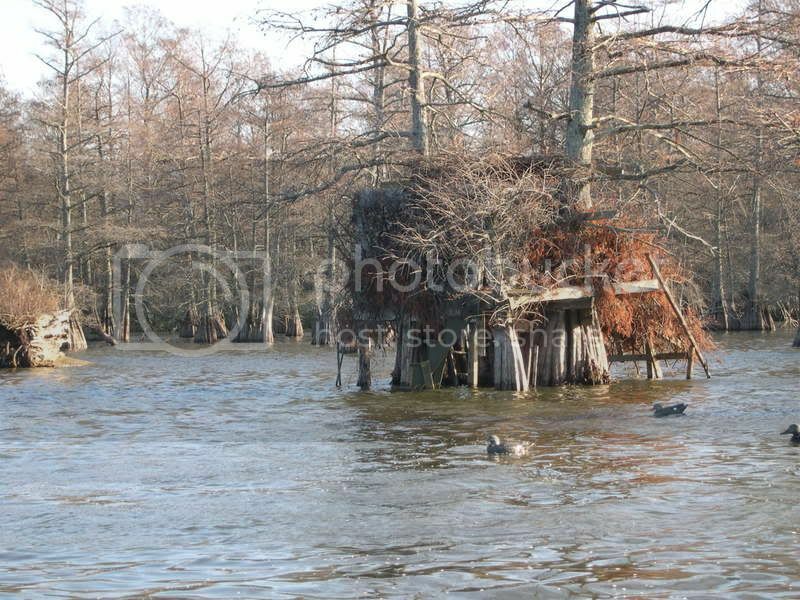 "West Alabama Delta Waterfowl Chapter"